First, the legal test under the constitution and election law applicable here is not whether any irregularity was intended to influence the results in favor of a candidate but, the test is whether the irregularity or irregularities affected the outcome. There is no credible court on earth which can hold that irregularities which resulted in thousands of votes added to a candidate and thousands more taken away from another as has been proven in this case from just a small sample that that did not affect the outcome; not one court on this earth can rule that. Once it’s established that the irregularity or irregularities affected the outcome, the remedy is to nullify the outcome as the Supreme Court will do in this case. Second, a re-run will favor Raila but I am on record already as having said that cannot be said about a run-off based on what the March 4 results showed, putting aside the rigging. The discrepancies found in this small sample of polling stations when extrapolated to reflect all 33,000 plus counties prove beyond a reasonable doubt there was rigging in the March 4, 2013 elections therefore the bogus results announced by the obviously compromised IEBC that Uhuru won when he, in fact, did not win at all or even come close must be nullified by the Supreme Court tomorrow and we are confident that will be the case. Reckless; not unlike what the obviously compromised IEBC and its masters did before, during and after the elections of March 4 culminating in the bogus announcement that Uhuru won when he, in fact, did not win or even come close. We fully expect those bogus results to be nullified by the Supreme Court tomorrow. Third, Raila did not ask for new registration; in fact, his lawyers categorically stated in court we accept the legally noticed vote register of December 18th as the correct and legally valid register so there you’ve payukered. There is no credible court on earth which can hold that irregularities which resulted in thousands of votes added to a candidate and thousands more taken away from another as has been proven in this case from just a small sample that that did not affect the outcome; not one credible court on this earth can rule that. I know people on your side hope the SC will dismiss these glaring, deliberate and fetal discrepancies as “minor clerical errors” but that shall not come to pass and the court is certainly not going to accept and let stand rigging because “in every election, votes get stolen” according to Hassan’s genius lawyer Abdillahi who we know is painfully regretting now that unbelievable assertion totally unhelpful to his client; in fact, harmful to his client. Tomorrow, everything I have been saying shall be vindicated and principally the fact that the SC will nullify the bogus results announced by the obviously compromised IEBC that Uhuru won when he, in fact, did not win or even come close. The media has been doing a very poor job of informing the public but we see some improvement (at one point just after the elections, they were totally in the tank for UK either bought and paid for or on their own) but be that as it may, there is no doubt we’re headed to a run-off or re-run so one hopes they will do better; at least simply do what their job is and that’s unbiased, reliable gathering and dissemination of information. This, of course, excluding the ones incapable of such by design such as K24. Raila and Cord had evidence and presented same to court of more than 100 polling stations where there was glaring discrepancies between forms 34 and what was announced by the obviously compromised IEBC at Bomas that cannot possibly be described as “minor clerical errors” but are, in fact, evidence of rigging. 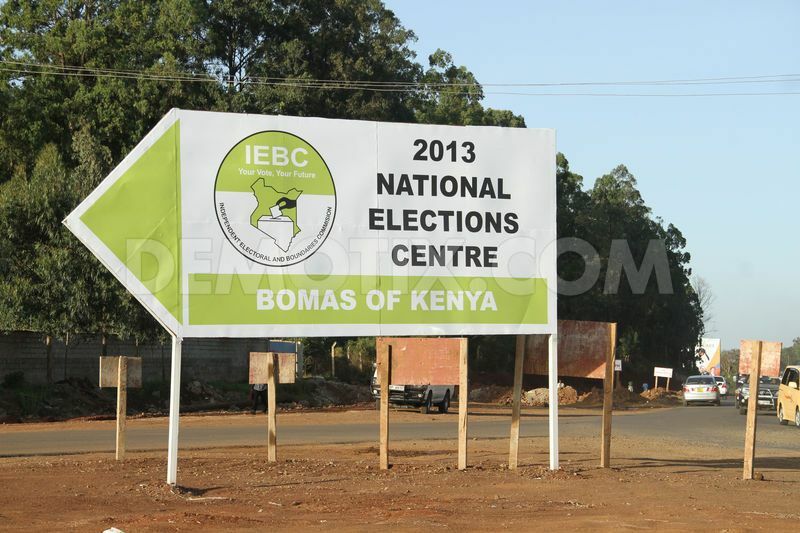 The Supreme Court, however, ordered a re-tallying not of these specific polling centers Cord identified, but a separate group of polling centers chosen randomly across the country. What the Supreme Court was trying to establish is not whether rigging took place; they could have done that by merely examining the ones Cord showed that already in the evidence, rather the Court wanted to find out how widespread or massive the rigging was. The result is the re-tallying ordered shows the rigging was widespread and massive. That’s why the Court will nullify tomorrow the bogus results announced by the obviously compromised IEBC that Uhuru won when he, in fact, did not win or even come close. You seem not to know the law on this but you will learn tomorrow. All presidential votes cast in the polling stations where there are discrepancies like this where the total number of votes “cast” is more than the total number of registered voters for that polling station will be thrown out. There are several of these in the pile easily resulting in the negation of the 8,200 votes Uhuru went over the threshold (note even with their rigging they couldn’t cook enough more numbers than this) and even the 50,000 or so that would apply if all the rejected votes are included. That being said, let me also tell you my prediction is the SC will base its holding not on how many votes the candidates received but on the basis the presidential election and tally is so tainted nobody can tell who won what number of votes therefore the only solution is to nullify the bogus results announced by the obviously compromised IEBC that Uhuru won when he, in fact, did not win and order new elections. One of the questions the SC will answer is what is the correct register; the one the now compromised IEBC gazetted on December 18, 2013 as required by law, or the several it illegally created afterwards. That’s a key question the Court will answer but note a favorable outcome for Raila and AfriCog does not depend on it for the reason I stated earlier and that’s the Court can rule in consideration of the evidence presented in totality, the 2013 presidential election were not credible as they were not conducted in a “simple, accurate, verifiable, secure, accountable and transparent” manner as required under the Constitution and applicable laws, rules and regulations. Who said that SC makes registers? Oraro argued and the Court will have to agree or disagree with him that IEBC was required to maintain an electronic register and even if the SC doesn’t agree, the question still remains whether (a) IEBC maintained an accurate register of registered voters in the country as of December 18, 2012 deadline and (b) whether that register was tampered with in violation of the law. We are confident the SC will say the answers are No and Yes, respectfully and for this reason, the Court would have no choice but to nullify the … please fill in the rest; you should know it by now if you were in denial previously. Okay; I help for those who are reading this for the first time: the Court would have no choice but to nullify the bogus announcement by the obviously compromised IEBC that Uhuru won when he, in fact, did not win or even come close.